For some Dogs there isn’t enough time…. 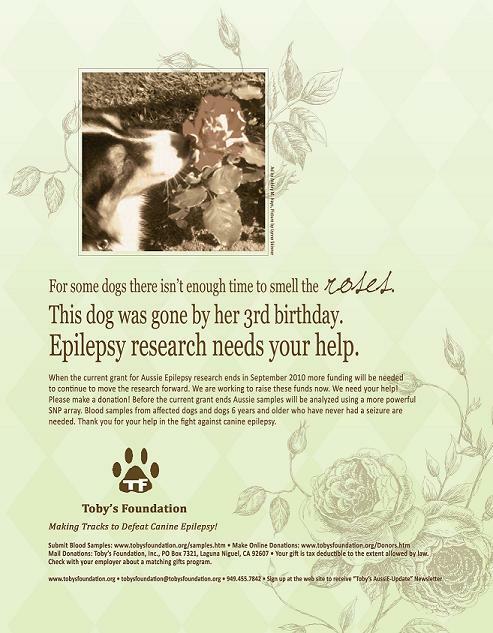 EPILEPSY RESEARCH NEEDS YOUR HELP! these funds now. We need your help! Please make a donation! Before the current grant ends Aussie samples will be analyzed using a more powerful SNP array. Blood samples from affected dogs are especially needed for the research. Click here for information on donating blood.